Zamorano is a Non-profit International University founded in Honduras in 1942 to promote tropical agriculture and sustainable economic development through teaching, research and outreach. The learning by doing activities allows student to integrate theoretical and practical Knowledge in order to solve problems while simultaneously promoting responsibility, discipline and the work ethic. Buying the jams and marmalades produced by the student of the Zamorano you will help the education of young student without economical resources. 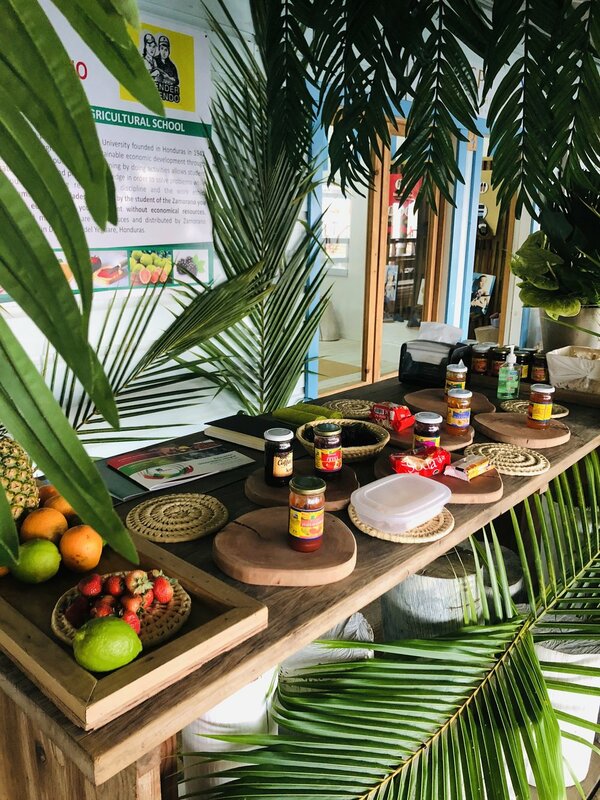 These jams and marmalades are all produces and distributed by Zamorano University located in Danli, Valle del Yeguare, Honduras.